Your Health Plan Needs a Text Message Strategy. Here’s Why. SMS (short message service), also known as text messaging, is an essential component of digital member engagement. It allows you to drive member behavior, point them to specific web pages or parts of your mobile app, and even gather information from them. All without an employee overseeing each conversation. You might be thinking: can’t we do all of that with email? Kind of. But there’s one big difference. Your members are more likely to read and act on text messages than any other form of communication you send. And they do it faster. If you happen to call someone when they’re working, going to the bathroom, driving, or otherwise unable to answer, that’s it. You’ve missed them. Sure, you can leave a message asking them to call you back. But that one moment was your best window for delivering your message and getting the response you needed. 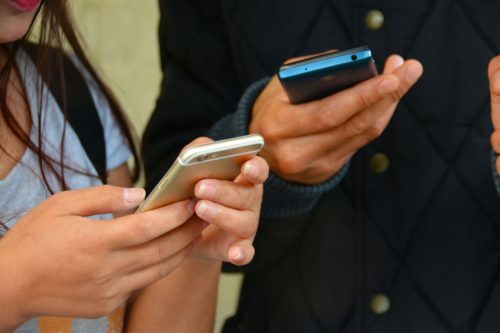 One study found that the response rate for texts sent by an organization was 209 percent higher than it was for phone calls. Not only are texts more effective, but they use less of your employee’s time. It makes sense, too. It takes seconds to respond to a text or tap the link right under your finger. And people can respond to texts in a lot of situations where they couldn’t pick up the phone to talk. It’s more convenient to fill out a form during a break at work than it is to do it over a phone call. Not to mention, when your members have to call you back, odds are they’re going to have to wait on hold. You don’t have to wait on hold to respond to a text. Moreover, if a member needs to call you for something they could handle through your portal, it wastes both your time and theirs. Your members already want to use your portal. But what if they don’t know it exists? Believe it or not, 84 percent of plan members say they prefer to engage digitally. And while 98 percent of health plans offer online health tools, only 31 percent of members are aware of those tools. Utilizing text messages as a part of your portal awareness strategy can ultimately drive member engagement. Text messaging works in conjunction with your portal. The texts you send prompt members to take specific actions on your website or in your mobile app, keeping your health portal top-of-mind and regularly reinforcing its value. If your employees had to manually text your members, it would still save a lot more time than phone calls. But what makes text messaging so powerful is that it can all be automated. The text message system connects to your members’ data and compliance goals, and you determine what messages you’d like to send to which people in specific situations. This ensures that your members always have a quality engagement experience where they receive relevant, useful messaging, and you can efficiently send texts at scale. And it happens automatically. What happens when someone responds to one of your emails? Maybe they wanted to know how much something was going to cost. Or they were confused about what they were supposed to do next. Either an employee has to read your member’s email and respond to it, or worse, it goes unanswered. That’s simply not the case with text messaging. With the Healthx Mobile Engagement Suite, text messaging comes coupled with an AI-powered chatbot. Using natural language processing and pre-programmed responses, this chatbot can read and respond to thousands of messages simultaneously, so your members can ask questions (or respond to yours!) and get an immediate response, without taking a moment of your staff’s time. Member engagement is incredibly valuable to health plans. When your members are engaged, it lowers your administrative costs, helps you achieve compliance standards, increases member satisfaction, and ultimately means your members can make better choices about their care. Most health plans value engagement, but they struggle to achieve it. At Healthx, we believe one of the biggest reasons why is because they neglect the power of mobile. Next week, in our new ebook, Why Mobile Engagement Should Be Every Health Plan’s Secret Weapon, we explore everything you need to know about engaging your members via mobile.